Port Sailing School has offered our Junior Sailing Camp for over 12 years and now offers this great program in both our Port Washington (Nassau County) and New Rochelle (Westchester) locations. Spend the summer on the Long Island Sound enjoying the outdoors and learning to sail. Our Junior Sailing Instructors have an average of eight years teaching sailing and are certified by US Sailing or the American Sailing Association. Each instructor adheres to our curriculum to ensure a consistent learning experience. While we encourage a fun environment, safety is our main concern and life jackets must be worn while on or near the water. We maintain a maximum student-to-instructor ratio of five-to-one. This is a rain or shine program. Our relationship with the Echo Bay Yacht Club in Echo Bay, New Rochelle allows us to take advantage of this unique island environment. When not in the water, and in inclement weathers, our campers play games, learn the art of knot tying and generally enjoy eachothers company in the safety of this small island. This program is available for youths ages 8 through 16 with little or no sailing experience. Students are grouped by age and/or experience. All students will complete the NY State Safe Boating course while learning to sail. Experienced students will sail independently within a specific area of the bay under the watchful eye of their instructor. By the second week, these sailors will be racing their 23-foot sailboats and performing other boat handling skills. Other activities include rules of racing, plotting courses, reading charts, and anchoring. Half day program, 9 to 12 noon or 1 to 4 pm. This is a beginner dinghy sailing program and students learn parts of the boat, points of sail and sail a 10-foot Optimist dinghy. The Opti boats are easy and fun to sail. This sailing program takes place in a sheltered area of the bay. This program is open to students 15 years of age or older with three years prior sailing experience. Completion of ASA, YRA or US Sailing certification program is a plus. Applicants should have prior sailing experience on boats greater than 15 feet in length. Persons entering this program are preparing to become a Junior Sailing Instructor. Applicants should be mature, responsible and demonstrate leadership skills. During the program you will complete the NY State Safe Boating Program, CPR and First Aid training. This is a great gateway to a future position teaching sailing at camps, yacht clubs and sailing schools. All CITs are supervised and mentored by a Port Sailing instructor. 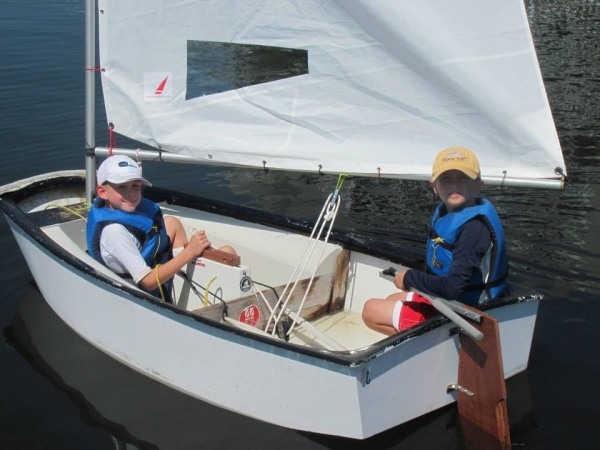 For more than 14 years, Port Sailing School has offered our two-week Junior Sailing Camp for novice and experienced sailors, all closely supervised by certified instructors. Spend the summer on the Long Island Sound learning to sail on our 23-foot Sonars and Optimists boats. Full-day program from 9am-4pm for ages 8-16 and half-day program for kids ages 8-10. Students are grouped by experience to learn rules of racing, plotting courses, reading charts, and anchoring. 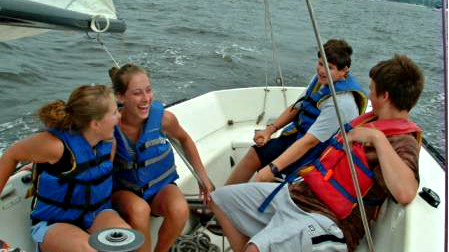 Our CIT program welcomes students age 15 and older with three years prior sailing experience.